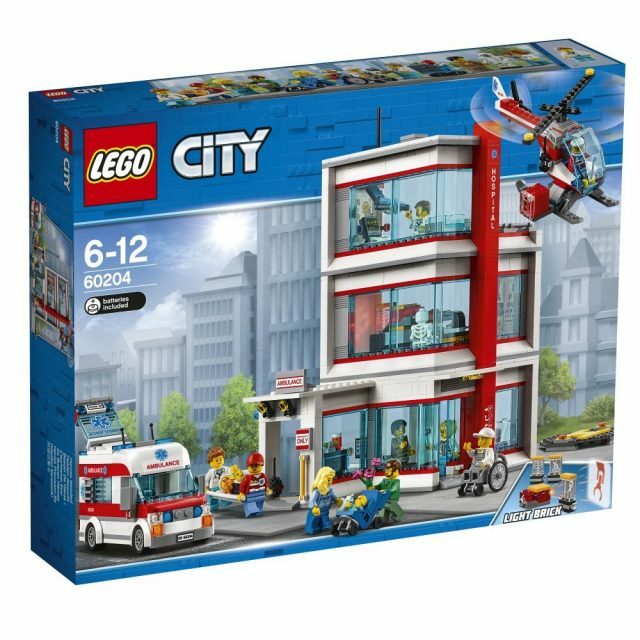 This year the LEGO City is getting a new hospital building — a gorgeous 60204 Hospital set. A long-rumored set has been finally revealed today. Let’s have a closer look at the new medical center opened for the citizens of the LEGO city. Considering the amount of firefighters and policemen arriving to the LEGO City every year, the new Hospital was a very long wished for set. It’s been more than 6 years since the last time a hospital building was added to the city as 4429 Helicopter Rescue set. Finally, we’re getting a very decent-looking three-storey building, even though the concept of the set very similar to the old 4429. An ambulance and a light helicopter both look like they could have been released as smaller City sets. Instead, this set has everything you need to set up medical service in any LEGO City. Obviously, both the vehicle and the aircraft provide a lot of playability to the set, but the only thing which could made the set better is a heavier version of the helicopter with possibility of transportation of an injured minifigure. 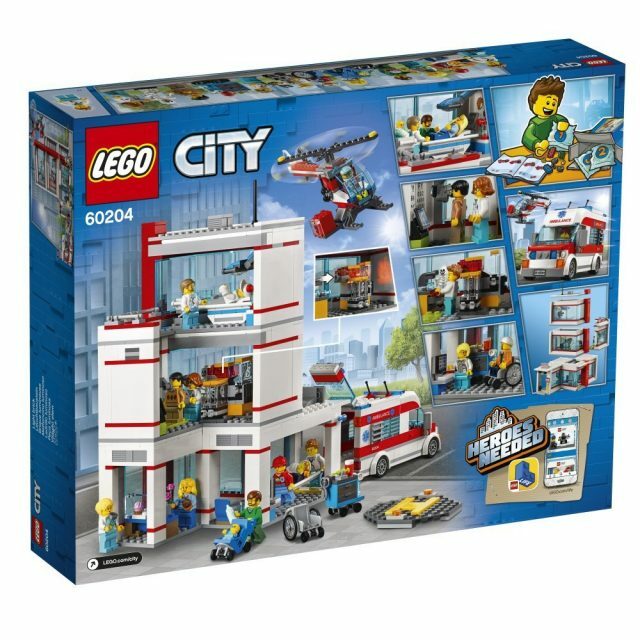 On the second thought, a set like 60197 Ambulance Helicopter can be a perfect addition to the new Hospital. Another brilliant trend of the recent years is a huge number of ordinary citizens in City sets. The new Hospital set is no exception. The set includes 12 minifigures including a baby which makes it a yet another awesome minifigure pack. They need to bring back the base plates for the sets. I liked the boxes with the lift up lid to show the pieces under clear plastic in the box. Bring that back! Am I the only one who often can’t get images on this site to load correctly on my iPad? I just get big blank areas ? Hey Mike, this is the first we’re hearing about this issue. Mind if we contact you by email to learn a bit more? Looks more like an office practice rather than a hospital! A hospital should be much larger! 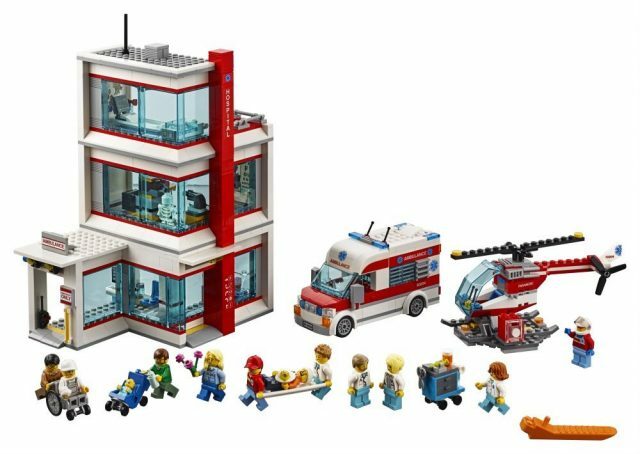 Thank you Lego for adding another hospital set! I’m a big Lego fan and I am so exited to get this set! Yay!!!!!!!??? Surprised the ambulance isn’t in standardised green/yellow check pattern as used in most European countries, being a polish invention et all. Do you have an idea what month it will be released? I really like the ambulance in #4431.